Decidedly feminine and just a bit edgy, the lingerie-inspired look is a powerful way to add allure to your wardrobe. The trick to make it work for everyday is to avoid looking bedroom bound. A lingerie-inspired camisole, jumpsuit, or dress becomes ready-to-wear anywhere when grounded with daywear essentials like chunky knits, worn-in denim, and tailored outerwear. Allow us to show you how with some of our favorite pieces, and expert tips on how to wear them, below. This trend can be intimidating, we know. 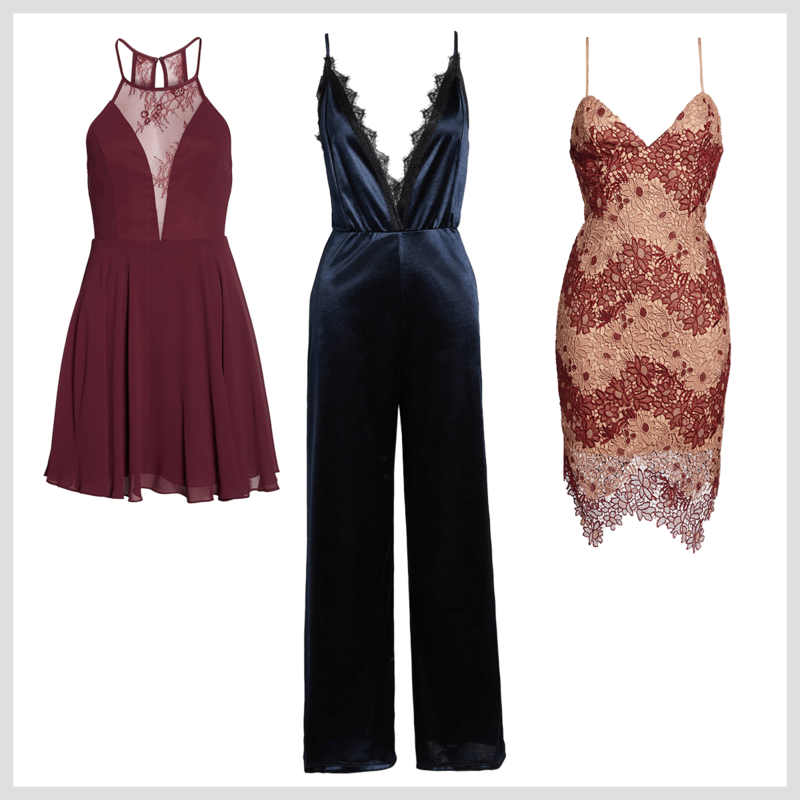 So ease in with a camisole or bodysuit that can be styled with clothes you already feel comfortable in. For example, balance a lace-trimmed cami with a boxy statement blazer. 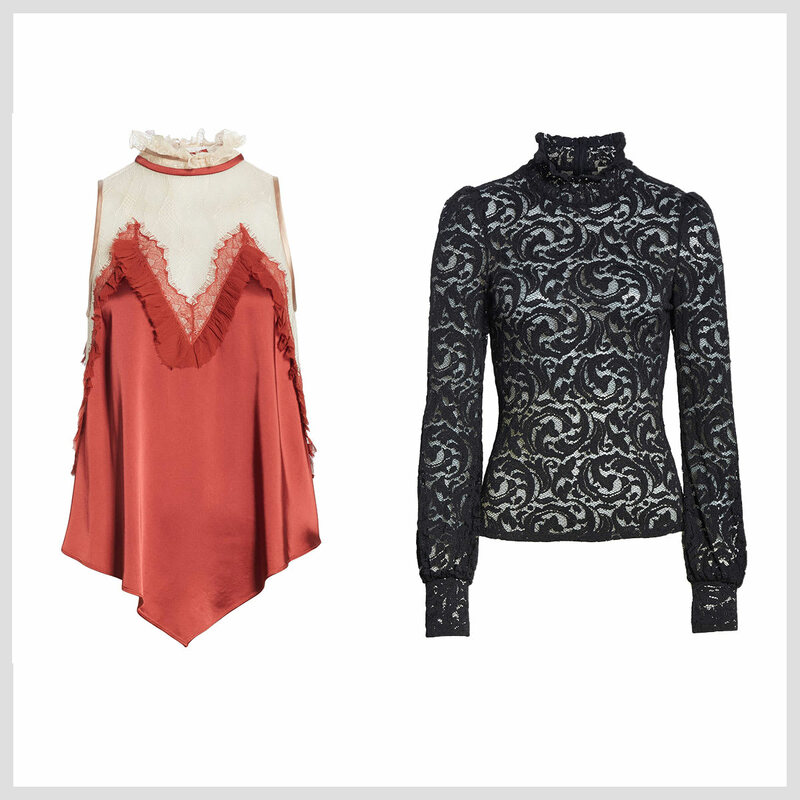 A corseted bodysuit can be toned down for daytime with wide-leg denim and a cozy cardigan. The key is to add on casual pieces that offset the after-dark attire. Fashion-forward tops with lingerie-inspired details can spice up an outfit with minimal effort. 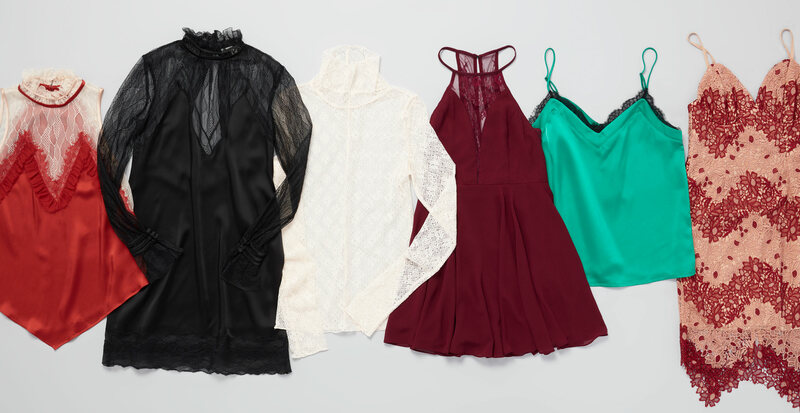 When you want a pull-on-and-go look that’s still dressy and feminine, a top with with elements of lace, delicate trim, or sheer paneling is your secret weapon. Look for pieces with high necklines or long sleeves for balance (and endless layering opportunities). Here’s a sleek way to dress up for a night out. Dresses and jumpsuits are an instant done-for-you outfit, but wearing these sultry picks with a moto jacket or a structured blazer will take them to another level. To accessorize, grab a bold clutch or a mini statement bag.